In its continuing push towards making its tools available across platforms, Microsoft announced Thursday that it will give Windows developers using .NET the native ability inside Visual Studio to write applications to Android and iOS. It's all thanks to tools from Xamarin, a company that Microsoft acquired earlier this year. Using Xamarin's SDK, developers can use C# to write applications that can run on Apple and Google's mobile platform, despite the language's history as a Microsoft product. Xamarin previously offered that capability as an add-on for Visual Studio, but Microsoft is integrating it directly into the company's integrated development environment. In addition, Visual Studio Enterprise users will get access to Xamarin's enterprise-focused capabilities for free with their subscription. Microsoft is also releasing Xamarin Studio, the Mac app built by the company, for free as a community edition, to match Visual Studio Community Edition on the PC. Julia Liuson, the corporate vice president for Visual Studio, said in an interview that Microsoft sees Xamarin Studio as a permanent product that will serve as its IDE on the Mac. Looking towards the future, Liuson said that Microsoft is interested in keeping the Xamarin brand somewhat independent from Microsoft at least for the time being. Both of those are interesting signs of Microsoft's commitment to cross-platform development. In addition to all of the Xamarin tools, Microsoft also offers users free access to Visual Studio Code, a cross-platform code editor that runs on Windows, Mac and Linux. Xamarin's SDK and other tools will be released through the .NET Foundation under a MIT open source license. That's something of a departure for Xamarin, which has released a lot of its technology under the GNU Public License. A Microsoft spokesperson said in an email that the move to a MIT license was supported by both Microsoft and Xamarin. Making it easier for developers to build iOS and Android apps using C# will likely be enticing to companies that have plenty of .NET developers on staff and want to reduce the amount of time they spend coding mobile apps. But looking towards the future, Microsoft is in a tight battle for developer mindshare with owners of other popular mobile platforms like Apple and Google and popular languages like Python. 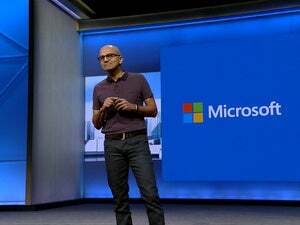 Microsoft has been working hard to position its platforms as developer-friendly over the past two days of keynotes. The company just announced on Wednesday that developers will be able to use the bash Linux shell on Windows through a collaboration with Ubuntu maker Canonical.